Posted: Friday, February 14, 2014 5:19 pm | Updated: 7:04 pm, Fri Feb 14, 2014. Cuba has suspended consular services for the second time in less than three months after being unable to find a new bank in the U.S. for its diplomatic accounts, officials announced Friday. M&T Bank decided to sever its relationship with Cuba last year, but agreed to continue processing its banking through March 1 and accepting deposits through Feb. 17. Cuban Interests Section officials in Washington said that “in spite of huge efforts made” they had been unable to find a replacement bank and that as a result it was being forced to suspend consular services, effective Friday. “The Section regrets any inconvenience this situation may cause,” the statement said. The Cuban diplomats blamed Washington’s embargo against the Communist-run island for the inability to get a new bank, though it has been in place for more than five decades. It’s unclear why now no bank is agreeing to service the financial accounts. The State Department had been working with Cuban officials since last July to identify a new bank for the Cuban Interests Section and Cuba’s Permanent Mission to the United Nations in New York, said spokesman Noel Clay. The State Department had reached out to more than 50 banks, and that several “may be exploring whether to provide the mission with banking services,” said deputy spokesman Marie Harf. The department would continue help the Cuban Interests Section find a long-term solution, she said. The U.S. and Cuba maintain limited diplomatic relations. Since 1997, both countries have operated Interests Sections under the legal protection of the Swiss embassies. The Interests Sections allow Cubans and Americans to request travel documents such as visas and passports, among other services. Travel operators had been preparing for the Feb. 17 deadline, which falls on a bank holiday, and advised those who plan to travel to the Caribbean island to get their documents beforehand. Armando Garcia, the owner of Marazul, one of the largest Cuba charter flight operators, said most U.S. and Cuban-American travelers planning visits to the island for the spring had gotten their documents in beforehand. “Two, three weeks from now, people who don’t have their documents up to date obviously would not be able to arrange anything unless the Cuban Interests Section resolves the problem with the bank,” Garcia said. An estimated 557,000 U.S. travelers are expected to visit Cuba in 2014, according to one estimate by the Miami-based Havana Consulting Group. Analyst Emilio Morales has projected that they will bring with them some $2 billion. Most of the travelers are Cuban Americans; a small amount is Americans taking part in licensed cultural exchange programs. Morales said Friday he estimated 40,000 U.S. travelers would visit in March and again in April. On average, they spend about $3,100 per person _ a collective $124 million each month. 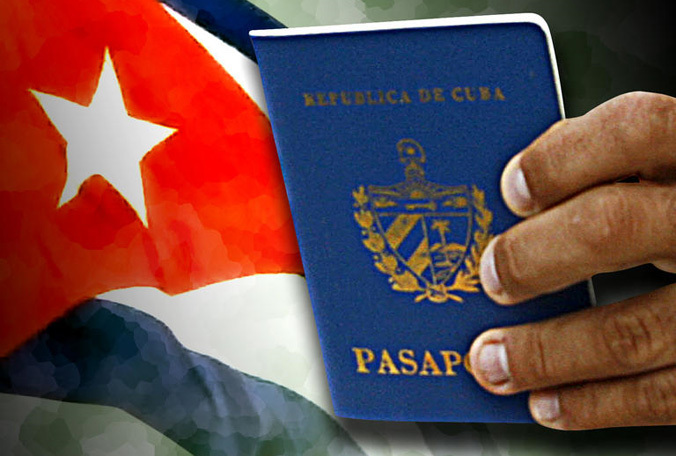 Cubans living in the U.S. who still have a valid Cuban passport would still be able to travel to the island, but those who need to request a visa or have their passport renewed would be impacted. The U.S. State Department said in November that the U.S. bank that had handled Cuba’s accounts had severed the relationship due to a “business decision.” A State Department said the bank had apparently decided to discontinue banking diplomatic missions several years ago. Travel operators in Miami said they had been advised by licensed consular agents to submit all their paperwork for visas, passports and other documents needed to travel to the island by last Monday, Feb. 10. Other affairs that could be affected include requests for copies of marriage licenses and birth certificates, as well as requests from those who want to extend the amount of time they are visiting the United States or who want to return to Cuba permanently. November through March is the high season for U.S. travelers participating in “people-to-people” travel to the island. Garcia said most of those applications were submitted far in advance. The upcoming March spring break and summer is when more Cuban-Americans tend to travel to visit family. Pedro Vega, a branch manager at Cubamar, an agency that helps process travel documents near Miami’s Little Havana, said he received about double the usual number of paperwork requests in January and February as clients rushed to submit before the banking deadline. “I am worried for those who have family there that they need to visit and who have to leave with their transactions processed,” Vega said. Noemi Hernandez, co-owner of MIA-Habana Express, Inc., said she was advising clients who weren’t able to get their requests in by Monday to hold off on submitting any more documents. “We’re afraid if we send something it’s going to be stuck in limbo,” she said. This entry was posted in The Blockade?, Uncategorized. Bookmark the permalink.